Mission: find the nation’s best club – the ultimate winner! In 2017 we revealed Britain’s best classic café, in 2018 it was the nation’s favourite classic destination that we uncovered – now we are looking for Britain’s finest classic car club. Practical Classics and Footman James are on the hunt for the nation’s very best local club and it’s the ‘local’ bit that is most important. 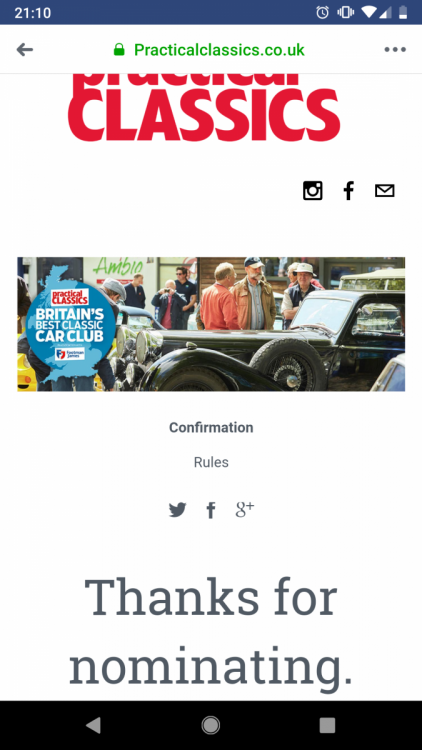 We would like you to nominate your favourite local classic car club or local branch of a national classic car club. Click the link below and vote for us!! !